The birthplace of hookahand India. It was from this device for Smoking where to filter and cool the smoke water was used, has spread throughout Asia and then around the world. Often tourists bring a hookah with him from travel, but Luggage is a fragile item breaks. Before fixing the hookah, consider it carefully. The device is very simple and consists of a beaker, bowl for tobacco and a flexible hose with a mouthpiece. For obvious reasons, often breaking the bulb. She just beats. Replace the bulb, if you think it appropriate, because in our country separately can not buy it, so you'll have to buy a new hookah and disassemble it. If the water pipe has no external damage and Smoking you can't, most likely, matter in the exhaust valve, which is located at the top of the device. Take a thin needle and gently pry her in the tube bulb. When moving, it will start again to skip the smoke in the right amount. But if, on the contrary, the smoke is too intense, you will have to remove the hose and replace the bulb the larger. However, be careful - the cheap models, this part of hookah is disposable, and therefore you will need to provide options adhesions of the design after the replacement. If the hookah smoke, but the smoke is tasteless, or too unusual, you probably just put the wrong tobacco. Preparing tobacco for Smoking, discard large, solid fragments, and dense clumps spread the fingers and place the cooked weight, not tamping the Cup. All this will allow you to smoke the Shisha without effort. Do not put tobacco slide as tight foil will contribute to the combustion of tobacco and the appearance of the unpleasant taste. By the way, on foil. Give preference to the denser, because it efficiently distributes the heat of the coal. Besides, it is possible to make more holes in the burner without the risk to break it. You should not make too big holes, as this can lead to ignition of the coal from which the smoke will be much tougher. If that happened, briefly remove the charcoal from Cup. 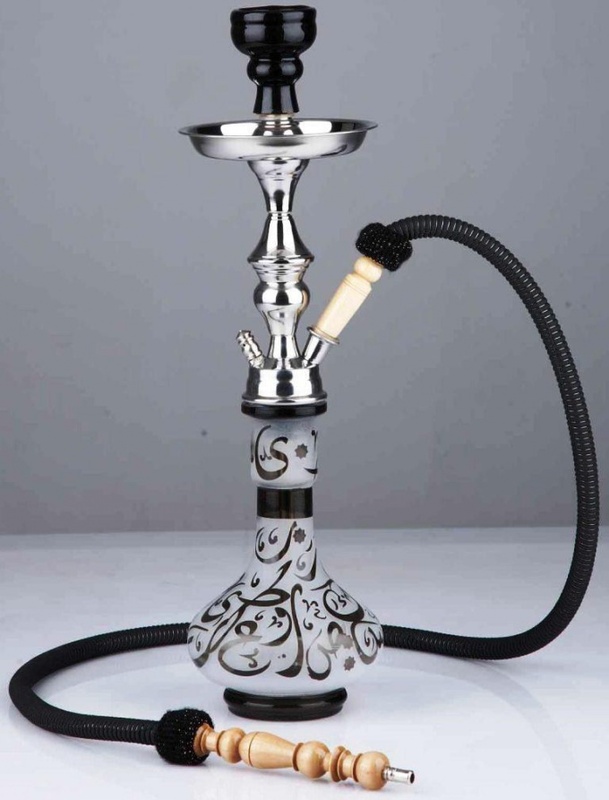 For Shisha it is better to use natural charcoal in kilogram packing or extruded plates. If you prefer to smoke with a "pair of rods", "raskatyvaete" coal to gas or electric stove. Wait until it turns red from the heat about 90%. Then to smoke the Shisha will be easy. 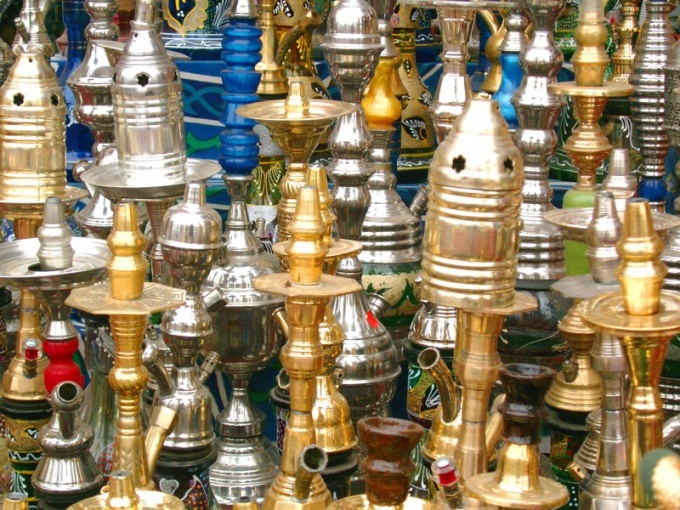 The liquid in the hookah and pour on habits – water, wine and even milk. Wine, dilute with water 1:2. Don't forget about caring for the hookah. After a session of Smoking, drain the water from the flask and regularly clean it with special brushes to clean mine or for the bulb that will clean hookah from plaque. To hookah served you for years and didn't cause unnecessary trouble, after each use it is necessary to disassemble, wash and put into the case. Disassembly hookahand will not take you much time as well as remembering the sequence of actions. Wait until cool bowl. Begin dismantling the hookahand while it is still hot, you'd better not, because a high probability of getting burned. Besides, nothing terrible will happen if you leave it for 20-40 minutes and do not wash immediately. Place the hookah on the surface, which will be convenient to disassemble it. In any case, enclose under it a newspaper, so nothing dirty. When moving the hookahand hold it by the bulb, otherwise it may detach under its own weight and break. Carefully remove the foil from the bowl of the hookah. Make sure that it does not stick tobacco, otherwise you run the risk of staining the surface, which is hookah. Remove from the bowl used tobacco. Even if it took a large amount of time since the use of hookahand better special tongs to eliminate the risk of burns. After the bowl is empty, slowly remove her, holding a hookah for the bulb or the shaft (long vertical part). Keep in mind that it will be shot hard enough, so don't make too sudden movements. Remove the plate and carefully remove the mouthpiece from the mine. If you are using the dock, make sure that have been removed and they. With mouthpiece remove the disposable tip, if any. With one hand firmly grasp the bulb, and the second slowly pull the shaft. Be careful. Sudden movements can cause all the contents of the flask, whether it's water, wine or milk - can be on the table or floor. Remove from the mine a small tube which is lowered into the water while Smoking hookah. Pour from the flask of its contents. Now all the components of the hookahand can be washed, dried and put in a special case.